What is something you would like to do more of? What do you look forward to the most about going to a party? Would your friends describe you as having an adventurous or boring lifestyle? What do you look forward to the most about having a day off from work or school? Name something you find annoying. What in your life are you the most proud of? Finally, what was the best part of the 1990s? Tag Team back again it's been a few decades but let's begin. Whoomp There It Is might just be a song about people who want to dance and party but it still fits you, even if the 90s are 20 years ago now. Grunge music was big in the 1990s but being apathetic and un-entertained is something you keep with you even today. No, you don't want no scrubs. A scrub is someone who you do not want to give any love to. Quite frankly, you'd wish these people would stop trying to holler at you while driving in the passenger's side of their best friend's car. You might get knocked down but you get up again and nothing is going to keep you down. That might sound like words of motivation to say to someone going through a rough time but actually, it is used to encourage people to drink more. That's what you and your life is about. Hit me, baby, one more time. You are someone riddled with thoughts and regrets regarding past relationships. You are living in Britney Spears' "Hit Me Baby One More Time"
The 1990s were an interesting decade. Fresh Prince was on TV, grunge music was on MTV, and there's a good chance you were into music which would never be popular today. 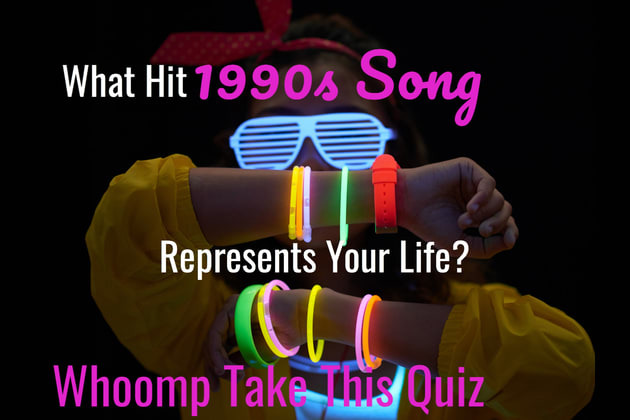 Take this quiz and determine which hit song from the 1990s represents your life.